The medical term for thinning eyebrows is superciliary madarosis, derived from “madaros,” the Greek word for “bald.” There can be many causes for this condition, including a hormonal imbalance, a nutritional deficiency, allergies, an autoimmune disorder, stress, or a response to medications or chemotherapy. Aging or excessive tweezing or waxing may also result in the thinning of eyebrow hair. Thinning may appear on one eyebrow or both, in patches, or uniformly. Eyebrows are one of the most important features of our face. In addition to protecting our eyes, they create a frame for our face, make us more attractive, and play a vital role in nonverbal communication. Our eyebrows enhance the facial expressions we use to convey happiness, anger, surprise, fear, sadness, and other emotions. Because eyebrows play an important cosmetic function, loss of eyebrow hair can be very distressing. For eyebrow hair, the growth cycle is very short, typically about 4 months. Scalp hair, on the other hand, has a growth cycle that takes 3-4 years to complete. The result is scalp hair that is much longer than eyebrow hair. Eyebrow hair emerges from the follicle at a very acute angle, so that eyebrow hairs lay almost flat against the skin. By contrast, the angle between scalp hair and the skin can be 45 degrees or more. Eyebrow hairs grow on a single strand, whereas several hairs arise from a single follicle on the scalp. 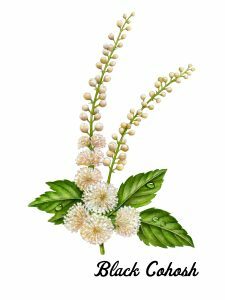 Noting that eyebrow hair differs from scalp hair in several respects, the EES research team discovered that eyebrow follicles responded positively to the properties of black cohosh, a natural botanical plant. EES—Essential Eyebrow Solution® has been scientifically formulated through years of development and clinical testing to support thinning eyebrows. Infused with the natural botanical black cohosh, EES is a patented formula that nourishes, conditions, and revitalizes eyebrow hair resulting in the appearance of thicker, fuller eyebrows. Used for many purposes, black cohosh (Cimicifuga racemosa) is a perennial herb native to North America. The chief element in the black cohosh root is a substance known as cimicifugin or macrotin. An additional 16-week clinical study was conducted to determine the efficacy of the EES product for general beauty/cosmetic use. Approximately 84% of the enrolled participants reported a noticeable improvement in their eyebrow appearance (density, fullness, shine, strength and overall eyebrow appearance). To learn more, click here. See what a difference EES™ can make for you. EES is to be used twice daily (morning and evening) as follows: Cleanse and completely dry eyebrows before using EES. 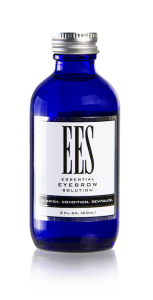 Dip a clean cotton swab into the bottle of EES solution and carefully apply the solution to the eyebrow. Use a fresh swab for each eyebrow to avoid contaminating the solution in the bottle. Makeup may be used 10-15 minutes after EES has been applied. Consistent application and continued use of EES as directed is essential for best results. Individual results may vary. Please note: The eyebrow growth cycle is typically 4 months. The 1-oz. bottle of EES is an adequate supply to cover one complete eyebrow growth cycle. For best results, it is important to apply the EES solution as directed for the full eyebrow growth cycle. To support, maintain and enhance natural eyebrows, continued use is recommended. Water (Aqua), Isopropyl Alcohol, Propylene Glycol, Cimicifuga Racemosa Root Extract (Black Cohosh), Polysorbate 20, Phenoxyethanol, Ethylhexylglycerin, Citric Acid. This solution is for use on eyebrows only. Do not apply on eyelashes. Avoid direct contact with eyes. If eye contact occurs, immediately flush eyes with cool running water. Remove contact lenses and continue flushing eyes for at least 15 minutes. If irritation persists, or any other adverse reaction occurs, seek medical attention immediately. Keep bottle tightly closed between usage periods. Store at room temperature, not to exceed 90°F (32° C).